In this workshop tailored for professional cooks, leading advocate for sustainable butchery Adam Danforth will discuss the virtues of older animals, how working muscles render more flavor, the inverse relationship of taste and texture, and why we should be supporting farmers more by consuming their older and cull animals. The workshop will include a rundown of meat science and how we experience it as deliciousness, all the while breaking down an older sheep into primals and cuts. Adam will answer questions along the way and relate the animal's anatomy to that of other farmyard species. Adam will be joined by the co-founders of The Perennial: Anthony Myint and Karen Leibowitz, who will speak to the role of meat in sustainable food systems and building a menu around whole-animal sourcing. Like all of The Perennials red meat, the sheep at this event will come from Stemple Creek Ranch, which draws down more greenhouse gas (as soil carbon) than is released by the animals. Karen and Anthony will speak about how they have made carbon ranching central to the menu at their restaurant, which has been called the most sustainable in the nation. 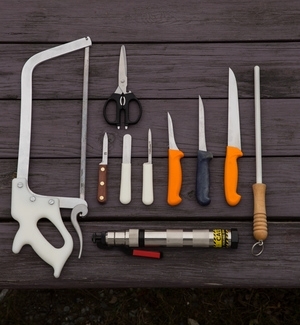 The good people of Bernal Cutlery will be on-hand selling knives and books related to butchery. Admission discount available for current Chefs Collaborative Members. Join/renew at www.chefscollaborative.org/join-us (include Butchering Demo in referral section) or email info@chefscollaborative.org to check your membership status and access the discount. For information on scholarships or reduced pricing, contact info@adamdanforth.com. ADAM DANFORTH is the James Beard and IACP award-winning author of two books, published by Storey Publishing, about slaughtering and butchering livestock. He teaches workshops worldwide on butchery and meat science for venues such as Stone Barns Center for Agriculture, the James Beard Foundation Chefs Boot Camp, Oregon State University, and the National Bison Association. 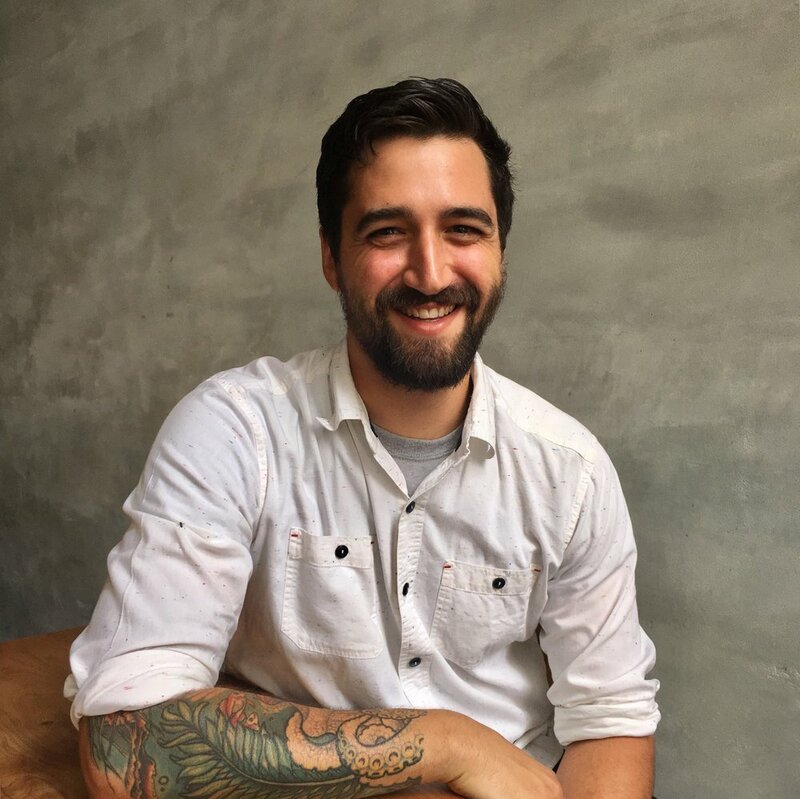 Adam also consults and provides experiential education to restaurants including Eleven Madison Park, Gramercy Tavern, Bazaar Meat, and Maude. He is the American ambassador for the Butchers Manifesto and a board member of the Chefs Collaborative and the Good Meat Project. Adam lives in Ashland, OR. CHEFS COLLABORATIVE is a national nonprofit network with a mission to inspire, educate, and celebrate chefs and food professionals who care about how they source, cook, and serve food and are doing their part to create a better food system. Learn more about Chefs Collaborative at www.chefscollaborative.org. There is an untapped market for mutton, culls, and older animals yet to be discovered in the professional kitchen. Danforth takes an in-depth look at the biological processes that affect the flavor and qualities of the meat we eat. Adam illustrates the market potential of eating older animals, dispelling the negative stereotypes of 'tough' and 'gamey' meat in place of more complex flavor profiles. Onsite cooking demos will demonstrate techniques to maximize the flavor of these complex meats and discusses the role chefs can play in driving market demand for these new products. With a few small decisions, we can convert greenhouse gases into healthy soil through farming. The Perennial supports regenerative agriculture in several ways: butchering in-house as part of a climate-beneficial nose-to-tail meat program, baking bread daily made with a regenerative perennial grain, and operating an aquaponic greenhouse to utilize food waste and explore the culinary potential of urban farming. Food grown in healthy soil tastes better, offers more nutrients, and restores the planet. As a California benefit corporation, The Perennial is a mission-driven business, pledged to promote food that fights climate change. Having just passed our second anniversary, we are pleased to present our ANNUAL REPORT. Thank you for reading! On a related note: This week, The Perennial was presented with one of four "Innovator" awards by the City of San Francisco's Green Business. Congratulations to our fellow innovators, Heath Ceramics, Cal Academy, and Last Minute Gear! In recent days, we've been happy to welcome new diners who found us through SF Restaurant Week. The truth is, though, we offer #SFRW-style menus all year round: any three courses ($45); any four courses ($55); and our party menus, with waves of family-style appetizers followed by individually plated entrees and desserts. And we are always very conscious of offering good value to diners looking for vegetarian, vegan, gluten-free, and other options. On holidays, we like to offer special pre-fixe menus. For Valentine's Day, we're running a four-course menu with some new dishes we're developing ($69). This month, we will be participating in SF Restaurant Week Jan 22-31 (yes, that's more than a week), with two set menus to welcome new faces to The Perennial. Above, check out a sneak preview of the first course of this menu: beef tartare and grasses, cipollini, tomatillo, warm Kernza bread, house made butter, nori jam, wild nettles, butternut squash and chocolate shavings. The answer starts with a food system focused on Healthy Soil, which draws down CO2, boosts flavor, and restores nutrients. 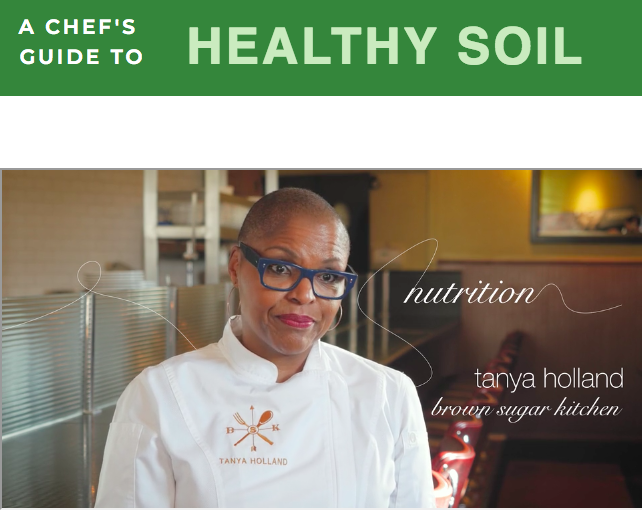 As a step toward rewarding farmers and ranchers who are building Healthy Soil, we invite you to consult and participate in the Healthy Soil Guide launching today. 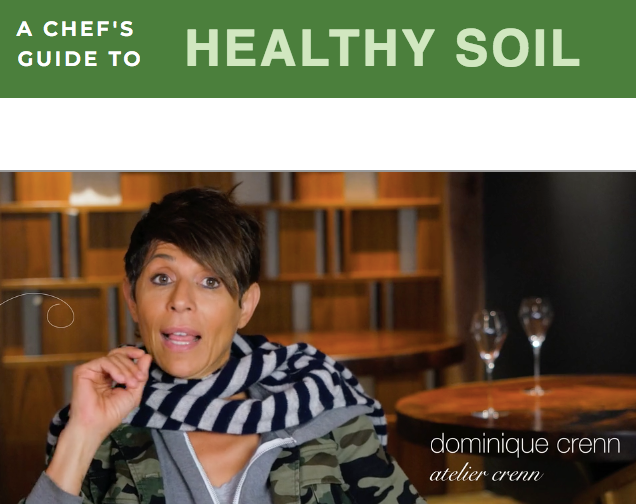 Chefs know that the best food comes from Healthy Soil. 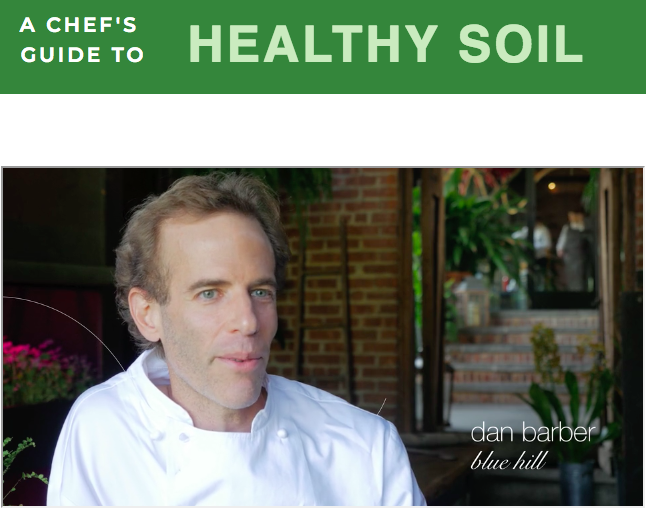 Watch the short-short film "Chefs for Soil" to see Chefs Dan Barber, Dominique Crenn, Jeremy Fox, Tanya Holland, Corey Lee, Yotam Ottolenghi, and our own Anthony Myint waxing poetic and political in a beautiful video created by our friends at Soil Solutions. If you're a farmer, we have a portal to share your info and to connect with scientific advisors. If you're a restaurateur, we'd love to include you. If you're a home cook, make this your Monterey Seafood Watch for everything grown on land. Check out Civil Eats for more details on the inspiration behind both guide and film. You know what would make a great gift? Gift certificates to The Perennial!! And it's not too late to book a party with us--call (415) 500-7788, email events@theperennialsf.com, or use our handy event inquiry form. Our greenhouse in October, when Sunset Magazine came for a FB Live video. As we barrel toward the holidays, we have quite a few events planned for the next week or so. Hope you can join us for some of them! November 11 (Sat): Tour of The Perennial's Greenhouse with CUESA and Don Bugito. November 13 (Mon): We'll be supporting one of our favorite publications, Civil Eats, at their annual fundraiser with a table of food showcasing our house-made bread, baked with soil-restoring Kernza. November 16 (Thurs): The Perennial will headline The Cal Academy's annual BiteLife event, with our (new) co-chef Michael Andreatta and (old) co-founder Karen Leibowitz on hand with food and conversation. If you haven't ordered a turkey yet, may we recommend Root Down Farm's heritage birds? We will be closed November 9 (Thursday) for a private event and Nov 22-23 (Weds-Thurs) for Thanksgiving. On Tuesday Nov 14, Chef Nick Balla of Duna will join forces with Anthony Myint and Michael Andreatta for a one-night-only, nose-to-tail, climate-beneficial, lamb-centric dinner, benefitting SF Fights Fire in Sonoma County. With "Duna Chinese Food," we're exploring Hungarian food and its link to China, drawing on unique items from the Duna larder as well as unusual flavors from The Perennial's aquaponic greenhouse. We're going where the Danube meets the Yangtze and it could be a wild ride. Reservations available 5:30-9 (call 415-500-7788 or reserve online here). We will also be serving the menu on a walk-in basis in the bar. $49/person (exc tax, drinks, and gratuity, but including donation to SF Fights Fire). We are excited to announce that our co-founder Anthony Myint will return to the kitchen as co-chef with our friend Michael Andreatta, who has recently returned to San Francisco from a sojourn in Chicago. Anthony and Mike are excited to work together to express The Perennial's mission of fighting climate change with great food. Anthony as a young chef--circa 2009. The Perennial will (of course!) continue to advocate for sustainability by showcasing ingredients from regenerative farms and ranches, while the new menu will incorporate the playful, collaborative, experimental style Myint developed as chef of Mission Street Food, and will welcome guest chefs to get involved in building a larger movement. Michael Andreatta, joining Anthony as co-chef of The Perennial. 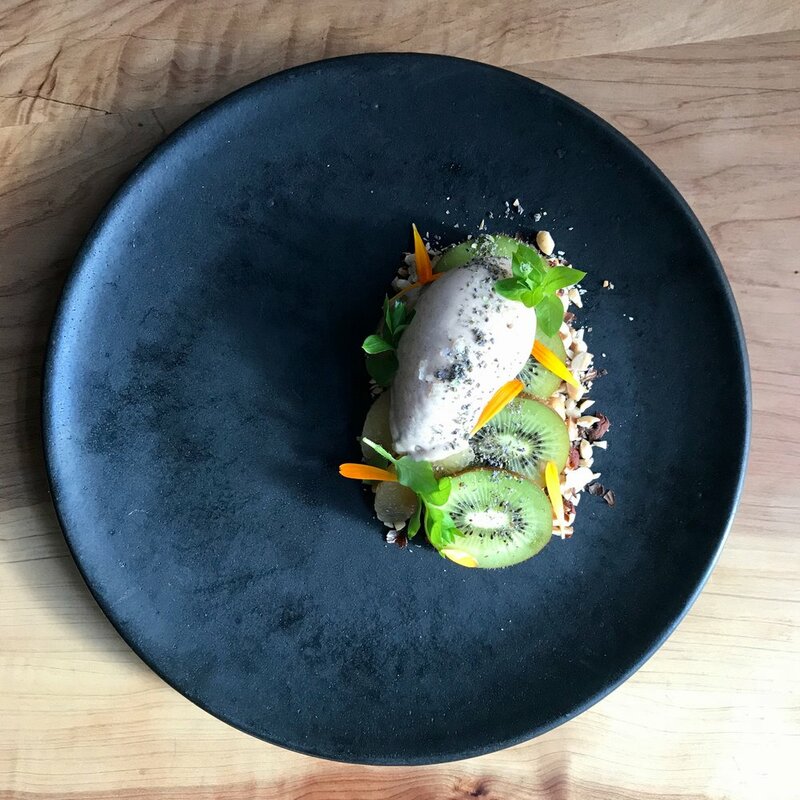 Since opening The Perennial in January 2016, departing chef Chris Kiyuna was named a Rising Star Chef by The Chronicle and helped the restaurant earn a “Best New Restaurant” nod from Bon Appétit and GQ, among other accolades. Chris intends to explore his other interests, beyond the food world, after helping Anthony and Mike transition into their new roles over the next two weeks. Just a couple of co-chefs sharing a vegetarian barbecue platter. Smoked meat also available. Mike, too, has a passionate commitment to sustainability, and came back to the Bay Area energized by the idea of making a difference while having a good time. Or, as he puts it, “I have been working personally on being as sustainable as I can be in my life, ever since I can remember, but my overwhelming goal and desire is to just have fun with it all. I've been an outdoorsy guy since I was 11, and a forager since I was 18. I got into food because it brought joy to me to cook for friends, family, and strangers, and to give them joy in doing it.” The co-chefs' new menu items will begin to populate the menu over the second half of September, to be fully phased in by October 1. The Perennial's new menu features re-imagined classics, like a Vegetarian Barbecue platter with smoked kale rib, barbecued onion, carrot steak, black rice, beluga lentils, and chimichurri broth. Diners have the option to stick with the deeply satisfying (even “meaty”) vegetarian platter, or add on crispy bits of barbecued meat as a condiment of sorts. The Perennial will also offer a slider version of Myint’s “Apocalypse Burger,” which has been a celebrated mainstay at Corey Lee’s In Situ. Mike Andreatta is drawing on his Italian heritage and travels to expand the restaurant’s house made pasta program, and will continue to advance the range of sustainable grains at The Perennial. Sneak preview: get an advance taste of the co-chef's new ideas for The Perennial at an event we're curating around food and climate solutions at the JCC on Sept 24. We'll have a bunch of art and activities, and we're honored to have environmentalist Paul Hawken joining us. Details here: https://tickets.jccsf.org/arts-ideas/drawdown-getdown/ We'd love to see you there, and at The Perennial! "San Francisco Chefs Serve up a Message about Climate Change"
We're pretty excited. For the past few months, we've been working closely with the JCC's Arts and Ideas team on an event that's finally close to happening. We're calling it Drawdown Getdown, and it's all about the ways that food and farming can help stop climate change by pulling CO2 out of the atmosphere. We are delighted to present an inspiring talk by Paul Hawken, editor of Drawdown: The Most Comprehensive Plan Ever Proposed to Reverse Global Warming (and we love that 11 of the top 25 solutions are in the food category!). Tickets include a copy of the book. We'll also be joined by Patagonia Provisions (and their beer), Straus Family Creamery (for a collaboration with The Perennial), Recology (ask the expert), the Lexicon of Sustainability (art of regenerative agriculture), and more. General Admission $25. Members get 10% off. Tickets include a copy of Drawdown: The Most Comprehensive Plan Ever Proposed to Reverse Global Warming. Could global warming be stabilized – or even reversed – using solutions that already exist? Join us for an interactive afternoon of ideas, activities, tastes and inspiration curated by restaurateurs and activists Anthony Myint and Karen Leibowitz (The Perennial, Mission Chinese Food, Commonwealth) as they pop up at the JCCSF with an optimistic message about stopping climate change with food. They are joined by renowned environmentalist Paul Hawken, whose Project Drawdown assembled a team of over 200 scholars, scientists, policymakers, business leaders and activists to put forward the most comprehensive plan ever proposed to reverse global warming, along with local experts and community partners like Recology for a food-focused conversation on tangible climate change solutions. Throughout the afternoon, taste the Perennial’s signature kernza bread, made from a regenerative perennial grain, and Patagonia Provisions’ kernza beer, Long Root Ale; experience art by the Lexicon of Sustainability; play with interactive exhibits on food and climate change; enjoy a Perennial pop-up collaboration with Straus Family Creamery; and so much more. Taste, see, hear, feel and even smell how food can be part of the climate change solution! "Will Chefs Be Part of the Climate Solution?" Our co-founder, Anthony Myint, wrote an opinion piece published by the James Beard Foundation today, having participated in the JBF Chef's Boot Camp for Policy and Change this year. 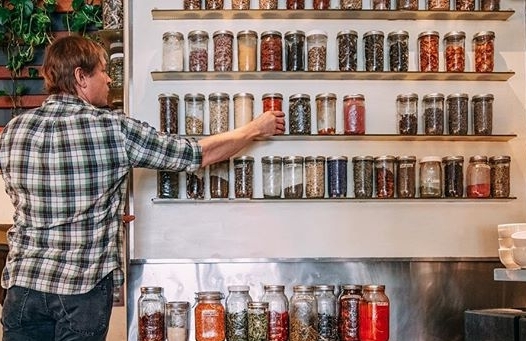 We are reposting here because we share Anthony's passion for harnessing chefs' capacity to have a positive impact on the world beyond their restaurants. The concept of global warming can feel paralyzing. It’s so vast and distant that it’s hard to prioritize, and this is especially true for chefs who are already worried about whether their dishwasher is showing up for work, if their orders are coming, or how to make payroll this month. But chefs care about climate change: our livelihoods depend on nature and taking care of people, and chefs have a can-do attitude. Action is now more important than ever before, as we face President Trump’s withdrawal from the Paris Climate Accord, and the detachment of a trillion-ton iceberg from the Antarctic. The food system accounts for about half of all greenhouse gases, and we know that buying local and organic is not going to work for every kind of operation. Besides, a commitment to good sourcing only accounts for some of the decisions that a restaurant faces. After all, what is the actual impact of using organic onions for stock, and is it worth the price? What do I do if I can’t afford solar panels? What if my customers won’t pay double the price for grassfed beef? What if I told you that fried chicken can be an environmental act? Or that French wine can be a more sustainable choice than a bottle from a local vineyard? Figuring out a restaurant’s carbon footprint offers a concrete, measurable way to contextualize climate change and convert environmental ideals into climate-smart decisions. For example, if the carbon footprint of the feedlot burger is four times that of fried chicken, then choosing between the two becomes less abstract. Likewise, we know that the sashimi shipped from Japan is a bad choice for the environment, but wine imported by boat, cellared below ground, and produced from a vineyard that has been biodynamic for decades, has a much lower carbon footprint than the local wine that’s been air-conditioned and chemically fertilized. Chefs can educate themselves, make changes, and can implement energy-saving measures like turning down their water heater to 140°F, but there will still always be some environmental impact: there are still ingredients and they are still cooked. The last thing diners want to talk about is how a restaurant is saving energy by cleaning the compressors more often, or how switching the steak dish to a pork chop reduces the carbon footprint: it’s too incremental of a conversation. But diners can grasp the big idea that a restaurant is carbon neutral in the same way that they are happy to pay a premium for free-trade coffee or an electric car. We started Zero Foodprint with the goal of inviting chefs and restaurants to be carbon neutral and then to get enough places on board to make that a search category through Yelp, OpenTable, Resy, and more. In the same way that infrastructural changes, like building the electric charging stations necessary to power electric cars, help to take alternative fuel mainstream, achieving a critical mass of tweaks in choice for diners would shift the restaurant industry. We already have 30 restaurants that have pledged to be carbon neutral every day, and to celebrate Earth Day, we got 100 restaurants to be carbon neutral for one day. We’re starting a movement to align sustainability and dining in a way that can include any restaurant, whether you’re fast food or craft barbecue. At Mission Chinese Food in San Francisco, we contribute about 10 cents per diner to greenhouse gas reduction projects in the food system to offset our entire carbon footprint. At Corey Lee’s three-Michelin-starred restaurant Benu, the contribution is about 35 cents per diner, which makes the entire luxurious 25-course meal of a lifetime also environmentally responsible. I can’t imagine a single person choosing not to go to Benu over an additional 35 cents, and neither can Corey. He’s committed all of his restaurants to being carbon neutral. This is the other commonality among chefs that I’ve come to appreciate: pride. We earn the right to charge appropriately for something with integrity: food that is truly good. This is more or less the highlight of our work—making food as good as we can make it. Food can be part of the climate solution, and I’m calling for more leaders to join the movement to make our food system better. Let’s establish sustainability as a culinary virtue. Learn more at ZeroFoodprint.org or by emailing zerofoodprint@gmail.com. Anthony Myint is the co-founder of the Perennial, Mission Chinese Food, and Commonwealth Restaurants, and the non-profit Zero Foodprint.